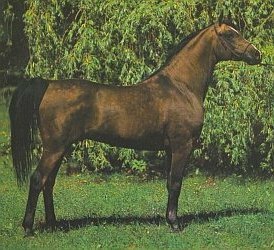 Arabians Horse Polish " The most Expensive"
Auction 1977 coincided with the solemn celebration of the 160th anniversary of Stud in Janow, and proceeds from the sale for the first time exceeded the magic threshold of one million dollars. 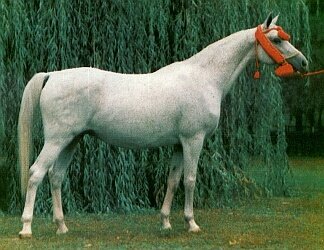 The star of the auction has become a grey Carawella for which Leonard Skeggs the USA paid $153.000 dollars. 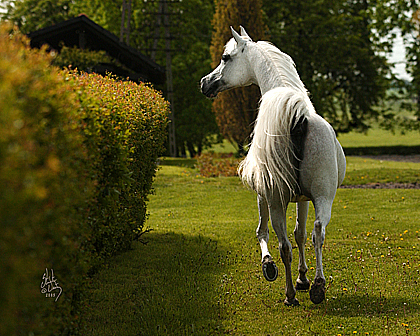 Engano stallion received $75.000. 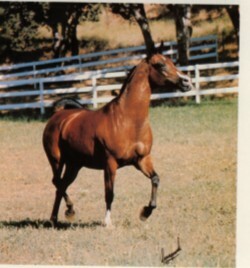 dollars, and sold for $31.000 chestnut stallion Eros a year later won the title of Vice Champion of USA. 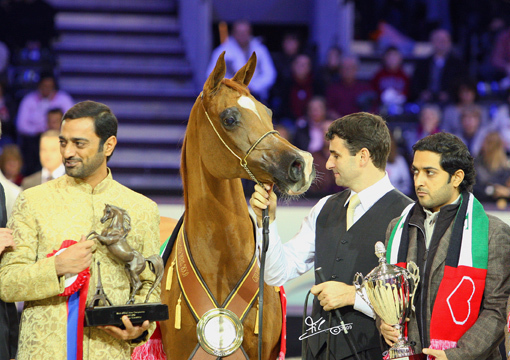 Starting from 1979, decision of the organizers of the auction and breeders, annual event precedes the National Horse Show Arabian. Then, too, the first time the auction has a new setting, holding up a huge tent henceforth that could accommodate all the guests not only foreign, but also to a large audience. 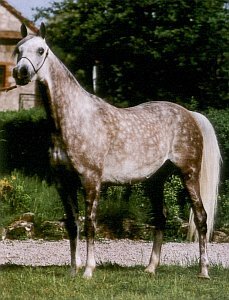 In 1980 auction in Janow Podlaski has gained its international trade name of the Polish Prestige - to emphasize the importance and caliber of the largest in Europe and one of the world's largest auction of Arabian horses. Starting this year also introduced the auction open division and so. 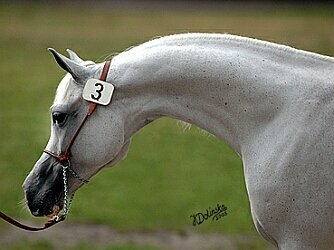 "quiet sale" (Silent Sale), or contest the written bids submitted for each horse from the list. This system allowed for the inclusion in the offer undergoing training horses racing on the track in Warsaw Służewiecka without transporting them to Janow and interrupting the training cycle at the time of the auction. As a result, in the context of an open auction in the USA David Murdock bought for $185.000. 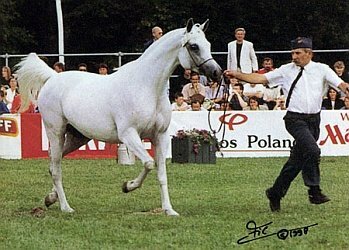 PERSIA at Michałów mare and Frank Smothers with the US paid for the mare ELITA of Janow $167.000 dollars. Third of the price of acquired Michałów Wen sold for $101.000. In 1981, in cooperation with the editors of The Arabian Horse Journal, auction catalog was published for the first time in a beautiful, modern twist with pictures of two most outstanding Polish photographers Mariana Gadzalskiego, and Sophia Raczkowska. The beginning of the auction was electrifying. 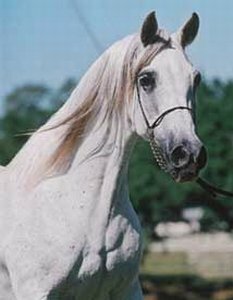 The auctioneer announced the sale of bay stallion El PASO for the record and not beaten the affirmative in Janow amount of $ 1 million, which was paid well-known American businessman Armand Hammer. 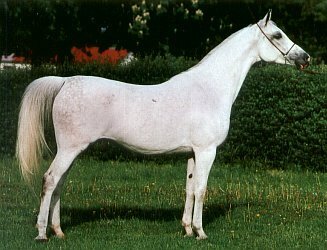 El PASO while stationed in the US under the lease contract for the years 1976 to 1978 he won the US Championships, and only from the lease Lasma Arabians stud, owned by Dr. Eugene LaCroix, paid $138 .000 dollars. 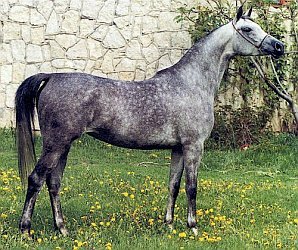 The following year 1982, the auction began with the presentation of a wonderful son and legendary Negatiw - Bandola, grey Bandos. David Murdock bought it for $806.000dollars for Ventura Farms. A Relax 1972 bai Ego - Rokada / Czort J. Podlaski Not Sale ? 9. Kurara 1974 gris Palas (SU) - Kreolka / Nabor (SU) Michałów ? ? 16. Fuga 1974 Alezan.B El Azrak - Forteca / Czardasz Michałów ? ? 21. Eneida 1977 alezan Gedymin - Emilia / Celebes Michałów Scratched ? 26. El Banda 1976 Bandos - Elita / Celebes J. Podlaski ? ? 29. Alergia 1979 baie Ellorus - Algorada / Celebes J. Podlaski ? ? 38. Sarenka 1974 gris Tryptyk - Sasanka / Almifar J. Podlaski ? ? 39. Etiuda 1977 alezan Gwarny - Eunice / Comet J. Podlaski ? ? 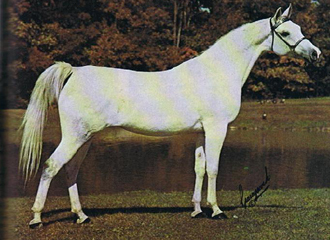 To a very interesting situation occurred in 1983 offered under the Silent Sale stallion DEFICIT of Michałow obtained after a fierce auction price $609.000dollars, which paid a horse together buyers Richard Patterson and Leonard Skeggs from the United States. And it was not beaten to affirmative record sales quiet, and at the same time one of the highest prices achieved for a horse at auction in Janow Podlaski. 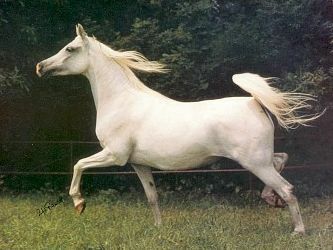 In the following years record prices were paid only for stallions. 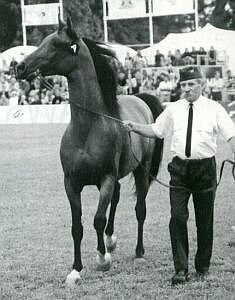 The biggest attraction of the auction in 1984 was the Champion of England and well-proven in Poland bay stallion Banat of Janow. Dr. Eugene LaCroix paid $525.000 for him. A Algomej 1973 baie Celebes - Algonkina by Pietuszok (SU) J. Podlaski Not Sale ? Over the next ten years, prices at the auction Janów not even came close to the old records. Yet only once, in 1990, the excitement reached its zenith when he appeared in the ring European and World Champion, unforgettable saw. 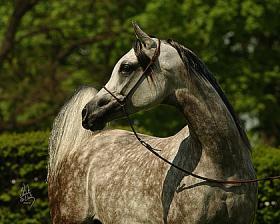 Bought it for US $ 215,000 stud owner Millfield Stables - Paolo Gucci. 3. Eza 1981 gris Bandos - Eufonia po Doktryner Kurozwęki ? ? 3. Eksplozja 1983 gris Banat - Euforia po Bandos Kurozwęki ? ? 9. Etapka 1980 gris Etap - Eskapada po Nabor (SU) Michałów ? ? 16. Ostka 1975 baie Krezus - Ostrawa po Carycyn J. Podlaski ? ? 23. Euterpe 1983 alezan Probat (SE) - Eunice po Comet J. Podlaski ? ? 32. Maczeta 1978 gris Burkan (GB) - Mila po Gwarny Michałów ? ? 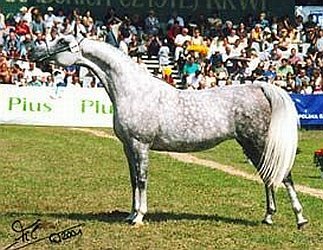 In 1991-96 only one English auction star Prestige reached the price of $100.000 dollars. It was in 1994, when Shirley Watts was willing to pay this amount for Janów PALBA. 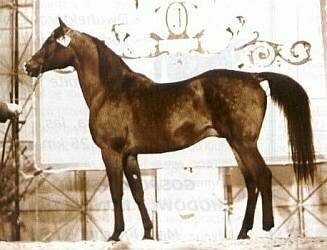 The high selling lot was PALBA ( Penitent x Pliszka by Gwarny) at $100.000 purchased by Shirley Watts (UK) "one of the most beautiful mares I have ever seen " said an obviously impressed Merredith bishop " we really would have loved to have her" Shirley must have really wanted the mare too as the bidding stalled below the $100.000 reserve , through briefly . 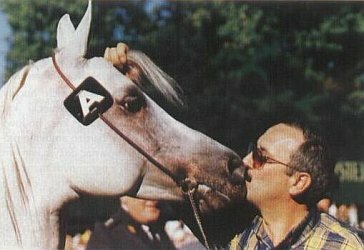 PALBA had been offered in the 1992 auction with the reserve not met then ( but then sold to Paolo Gucci (usa) after the sale for a reported $235.000the sale never finalized ) Not so in"94 with no hesitation the reserve was met and the mare sold . A Gorgeous mare to begin with, PALBA's race record certainly added to her attractiveness 2/15 (5-6-3) with three stakes wins and she is in foal to Monogramm . This marked the first time in three years that 6 figures was reached in the auction itself. A Gabaryt 1982 gris Banat - Gambia po Bandos J. Podlaski ? ? 1. Albigowa 1987 baie Fawor - Algeria po Celebes J. Podlaski ? ? 11. Passa 1980 baie Eukaliptus - Pascha po El Paso Michałów ? ? 13. Waćpanna 1978 gris Bandos - Warmia po Comet Michałów ? ? 20. Deri 1984 baie Haracz - Debora po Aloes Białka ? ? 21. Ekspansja 1979 gris Czeremosz - Ekstaza po Celebes Michałów ? ? 23. Dzineta 1989 gris Eternit - Dzielna po Haracz Białka ? ? 26. Wiśnia 1989 baie Tallin (SU) - Winnica po Bandos Kurozwęki ? ? 30. Natura 1979 alezan Banat - Nawa po Bandos J. Podlaski ? ? 1. Calabria 1990 gris Eukaliptus - Castylia po Pepton Kurozwęki ? ? 2. Ankara 1991 gris Europejczyk - Angola po Palas (SU) J. Podlaski ? ? 3. Fergana 1990 alezan Arbil - Flota po Probat (SE) Michałów ? ? 4. Organtyna 1983 alezan Probat (SE) - Orgia po Krezus J. Podlaski ? ? 5. Werda 1989 gris Piechur - Wendeta po Palas (SU) Michałów ? ? 6. Passada 1983 baie Woroblin - Pentoza po Ellorus Białka ? ? 7. Eldora 1990 alezan Pamir - Elektroda po Engano J. Podlaski ? ? 8. Miranda 1976 baie El Paso - Mitra po Celebes Michałów ? ? 9. Zadyma 1990 baie Palas (SU) - Zawieja po Melon Kurozwęki ? ? 10. Eura 1987 baie Fawor - Europa po Bandos J. Podlaski ? ? 11. Galera 1988 alezan Drabik - Gizela po Palas (SU) Michałów ? ? 12. Medytacja 1988 baie brun Europejczyk - Mekka po Gwarny Białka ? ? 14. Fonola 1991 alezan Ararat - Fletnia po Eternit Michałów ? ? 15. Eforka 1990 gris Palas (SU) - Epizoda po Partner Kurozwęki ? ? 16. Dulcynea 1983 gris Set - Dulka po Gedymin Michałów ? ? 17. Machalia 1989 alezan Tallin (SU) - Macierzanka po Mokan A. Waliszewski ? ? 18. Warszawianka 1991 gris Balon - Warsowia po Tallin (SU) Michałów ? ? 19. Deri 1984 baie Haracz - Debora po Aloes Białka ? ? 20. Faszyna 1988 baie Probat (SE) - Fascynacja po Etap J. Podlaski ? ? 21. Zorza 1986 gris Pepton - Zawieja po Melon Kurozwęki ? ? 22. Matnia 1984 gris Palas (SU) - Milada po Burkan (GB) Michałów ? ? 23. Borówka 1989 baie Alegro - Borowina po Etap J. Podlaski ? ? 24. Cygaretka 1985 alezan Fanatyk - Ciżemka po Palas (SU) Michałów ? ? 25. Cyrla 1988 gris Algomej - Cyrenajka po Banat Kurozwęki ? ? 26. Petra 1989 gniada Pepton - Pestka po Probat (SE) J. Podlaski ? ? 27. Fiesta 1990 gris Balon - Finta po Set Michałów ? ? 28. Erpa 1993 gris Etogram - Europa po Bandos J. Podlaski ? ? 29. Enterpriza 1990 gris Gadir (DE) - Etologia po Pepton Michałów ? ? 30. Woltyżerka 1990 gris Etos - Wojenka po Palas (SU) Białka ? ? 31. Złota Jesień 1977 baie Gedymin - Złota Iwa po Arax Michałów ? ? 33. Waćpanna 1978 gris Bandos - Warmia po Comet Michałów ? ? 34. Satyra 1993 gris Eukaliptus - Saracenia po El Paso J. Podlaski ? ? 35. Walencja 1990 gris Falsyfikat - Weneda po Gedymin Michałów ? ? 36. Eubia 1990 baie Wermut - Eubea po Banat Kurozwęki ? ? 37. Malwa 1989 baie Europejczyk - Malwina po Probat (SE) Michałów ? ? 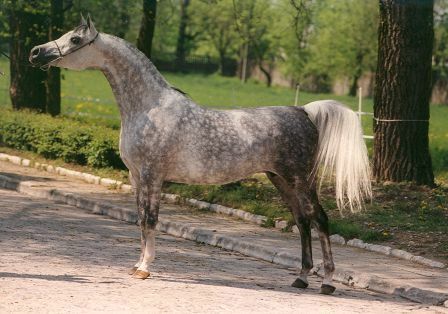 B Wermut Stallion 1982 baie Probat (SE) - Warmia by Comet Michałów Not Sale ? 3. Emancypacja 1990 Grey Falsyfikat - Emigrantka po Eukaliptus Michałów Not Sale ? 4. Zorza 1986 Grey Pepton - Zawieja po Melon Kurozwęki Not Sale ? 8. Ewiwa 1983 Grey Aloes - Etencja po Bandos J. Podlaski Not Sale ? 9. Eksplozja 1983 Grey Banat - Euforia po Bandos Kurozwęki Not Sale ? 11. Celimena 1985 Grey Palas (SU) - Ceregiela po Celebes J. Podlaski Not Sale ? 12. Delbana 1989 Grey Piechur - Dewiza po Negatiw (SU) Michałów Not Sale ? 14. Niwa 1990 Chesnut Eukaliptus - Nejtyczanka po Banat Kurozwęki Not Sale ? 16. Margilla 1987 bay Gil - Maranta po Dambor A. Waliszewski Not Sale ? 25. Eleina 1985 baie Algierczyk - Elleida po Algomej Kurozwęki Not Sale ? 26. Epikura 1991 Grey Gadir (DE) - Etologia po Pepton Michałów Not Sale ? 1. Pistacja 1988 baie Probat (SE) - Pipi po Banat J. Podlaski ? ? 2. Ekologia 1989 gris Piechur - Emigracja po Palas (SU) Michałów ? ? 3. Persona 1985 gris Palas (SU) - Pentoda po Bandos J. Podlaski ? ? 4. Wilnianka 1988 baie Tallin (SU) - Wilejka po El Paso Michałów ? ? 5. Cedynia 1993 gris Eldon - Ceduła po Bandos J. Podlaski ? ? 6. Zagora 1995 gris Monogramm (US) - Zguba po Enrilo Michałów ? ? 7. Bellona 1987 noir Czako - Beliza po Etap J. Podlaski ? ? 8. Nisza 1991 gris Eukaliptus - Nimfa po Partner Kurozwęki ? ? 9. Misteria 1989 gris Palas (SU) - Miss po Eternit Białka ? ? 11. Cudna 1984 gris Eternit - Cedrela po Doktryner Białka ? ? 12. Saszetka 1977 gris Engano - Sasanka po Almifar J. Podlaski ? ? 13. Prymka 1993 gris Wojsław - Premia po Palas (SU) Michałów ? ? 14. Całka 1992 gris Ararat - Cętka po Algierczyk Kurozwęki ? ? 15. Czantoria 1983 gris Probat (SE) - Czapelka po Magnat (SU) J. Podlaski ? ? 16. Elia 1992 baie Eukaliptus - Eulalia po Eufrat Michałów ? ? 17. Margilla 1987 baie Gil - Maranta po Dambor A. Waliszewski ? ? 18. Wiara 1992 baie Wermut - Wiorsta po Banat Kurozwęki ? ? 19. Delvana 1985 baie Fason - Debora po Aloes Białka ? ? 20. 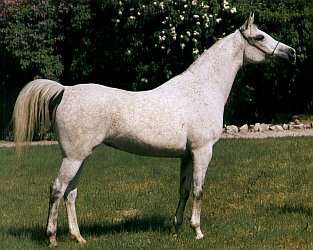 Estradamura 1990 gris Falsyfikat - Esmeralda po Bandos Michałów ? ? 21. Farfurka 1990 gris Pepton - Farma po Partner J. Podlaski ? ? 22. Arabella 1983 baie Fason - Albania po Gwarny Białka ? ? 23. Karawana 1983 baie Probat (SE) - Karabela po Celebes J. Podlaski ? ? 24. Kwiryna 1993 alezan Pamir - Kryza po Enrilo Michałów ? ? 25. Elwara 1992 baie Arbil - Elwanga po Probat (SE) J. Podlaski ? ? 26. Dukla 1993 baie Wojsław - Dymisja po Probat (SE) Michałów ? ? 27. Bazylika 1991 gris Palas (SU) - Braminka po Elef Kurozwęki ? ? 28. Faramuszka 1993 gris Pamir - Fortaleza po Europejczyk Michałów ? ? 29. Elekta 1985 gris Palas (SU) - Elewacja po Celebes J. Podlaski ? ? 30. Eldona 1993 gris Pamir - Erotyka po Eufrat Michałów ? ? 31. Ewaluacja 1991 baie Wermut - Ewidencja po Algomej Kurozwęki ? ? 32. Cacanka 1991 alzan Borysław - Carmen po Woroblin Białka ? ? 33. Ekierka 1992 gris Pamir - Ekspansja po Czeremosz Michałów ? ? 34. Ewarysta 1991 baie Europejczyk - Ewiwa po Aloes J. Podlaski ? ? 35. Krynolina 1993 alezan Egon - Kwesta po Pesennik (SU) Michałów ? ? Most faithful and very generous client was in those years, Mrs. Shirley Watts, which Emilda for mares in 1998 and Euza and Alejka in 2000 paid $200.000, $110.000 and $100.000. dollars. 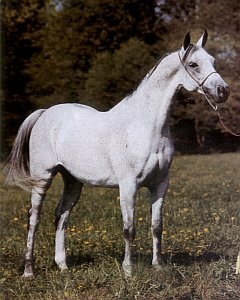 This last price at auction a year earlier also reached gray stallion Pamir purchased Paulo AP Bilyk (Brazil), incidentally Polish origin. Millennium 2000 was also the last, when the auction in Janow was organized under the banner of the Polish Prestige. 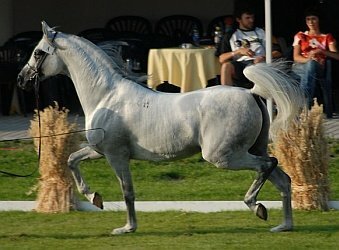 In 2001 there was a change and the change of the name of the organizer of the event, which, together with the National Show is called Arabian Horse Days. At the beginning of the new millennium and the good omen, the auction with the longest tradition in the world given the proud name of "Pride of Poland". The burden fell on the shoulders of the organization of two private companies: Polturf sc ( Barbara Mazur) and Dreadlines Sp.Z o.oThe new brand has proved to be lucky for breeders and new organizers, bringing high prices, good trading income and commercial success. A unique collection of mares attracted the attention of many distinguished guests, and the most expensive mare sold Lot 1. 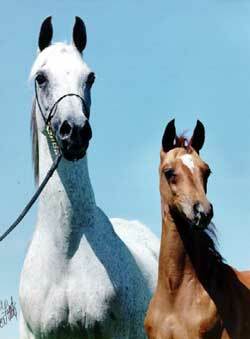 Egna for $120.000 dollars has become the pride of the stable Mrs. Shirley Watts. 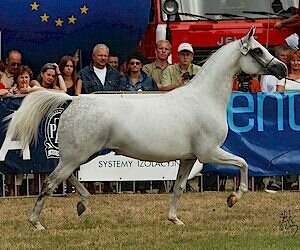 Sensation of 2002, it has become a last-minute introduction to the list of the annual auction mare "WIEZA WIATROW", which the day before she won the title of Reserve Champion Polish. Offer "last minute" found favor in the eyes of buyers from Saudi Arabia, who, after a fierce battle with the Americans bought the filly for $220.000 dollars. This was the last year when the auction was conducted in US dollars. In view of the Polish accession to the European Union since 2003. The auction is conducted in Euros. In 2003, in the ring presented to 37 mares, and another a group of thirty persons (mares and stallions) was offered as part of the silent sales, the so-called Silent Sale. The overall result of a charge of € 836,500 Euros and the auctioneer's hammer fell four times as many as 24 during the main auction. 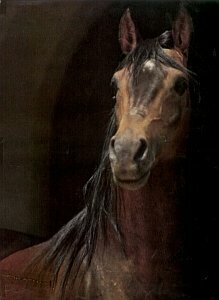 This time, the majority of horses sold went beyond the Old Continent: eleven to North America, including the No. 1 Auction - EMBELLA (140.000 Euros), And seven on the Middle East (Jordan and the United Arab Emirates), including as high auctioned ELWIA (140.000 Euros). FIGLARKA that caught the eye of buyers from Brazil, after a fierce auction price reached a staggering 105 thousand. 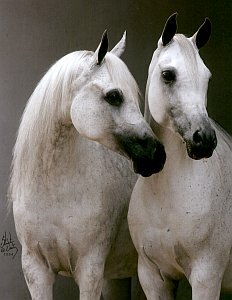 They did not disappoint the fans of the Arabian horse country, choosing for himself eight mares. Western Europe has become the home for three consecutive: ELŻUNIA deserved left for Germany, promising EKBATANA to Italy and ARGA (Silent Sale) - to France. Directory contents jubilee 35th international auction electrified sections of the public from the moment I saw the light of day. Select "limited" to 27 mares, but the rate of that for this extraordinary opportunity to prepare Stud, was giving a head rush. 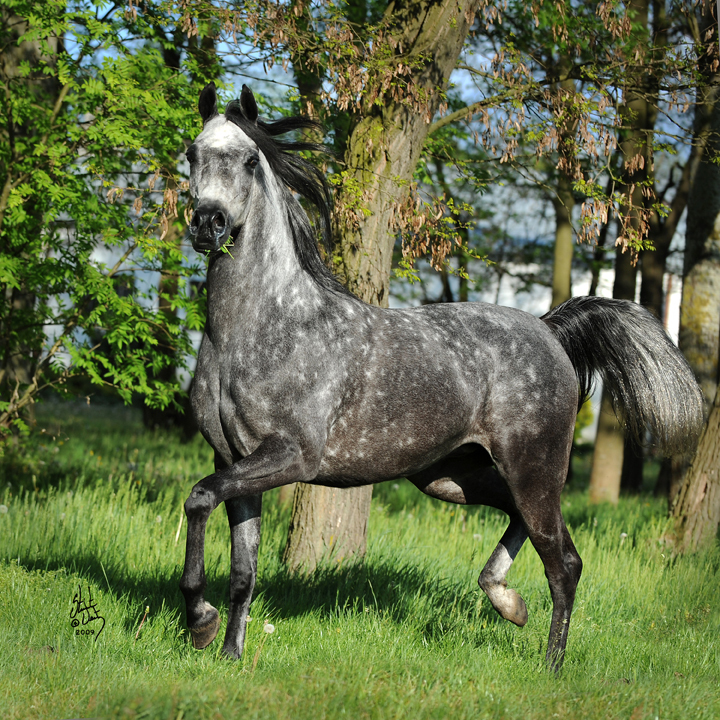 Among the guests who will come to very large numbers Janow in connection with participation in organized in Warsaw Waho Congress (World Arabian Horse Breeders Organization), there were new customers, trying their hand at Janów auction for the first time. And what was the fight, because a similar configuration of the stars infrequent. The last time there was a Polish colors ESKALOPKA European Champion (140.000 E.) And Race Horse of the Year SAVVANNAH (135.000E. ), Purchased for sheikhs from the United Arab Emirates. 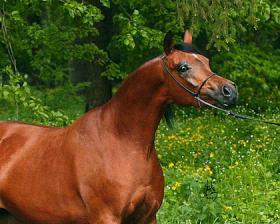 Among others departed for Ocean Polish Champion: EKSCELLA to the US (120.000E.) And ANEGDOTA to Argentina (70 .000E. 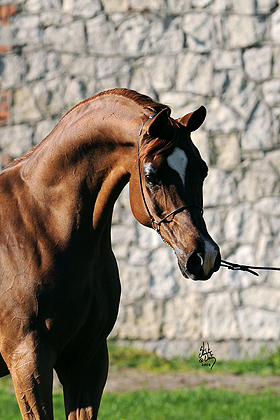 ), And this year's Vice Champion Stallion EPIKRATE - Brazil (35.000E. - Silent Sale). 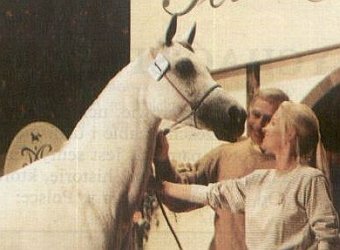 The turning point, however, proved auction bidding PALESTYNA, completed at a record level of 300.000E, Resulting in a large group of American impulse buyers to purchase a further 7 mares and efficiently contributed to achievements in awe awakening as a result of 1,272,000, - Euro (including Silent Sale: 112.500, -Euro). : Polish Champion LARISSA (80.000E - USA), always appreciated during the National Show, dynamic HEROLDIA (50.000E - USA) and great, even the royal origin AMBA (85.000E. - USA). The Year 2006 turned out to another watershed year for the Janów auction. 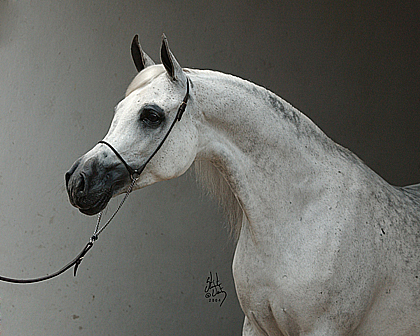 Traditionally, the place playing HORSE ARABIAN DAYS linking auction and show National, a square in the center studs where the needs of visitors and customers for the duration of the event was created entire mobile infrastructure. 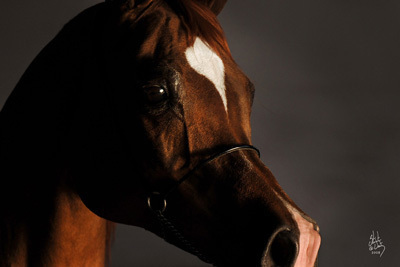 In 2006, she was given to use the new indoor arena with 'u down bokso stables for 40 horses tions and adjacent square competition, fully equipped for the purpose of playing the demonstration events, shopping and equestrian. Situated on the edge of the stud object remains an integral part of it, without disrupting established ways of communication, while retaining the style and atmosphere of the nineteenth-century architecture. With the launch of this facility, the organizers became independent of weather conditions, which have proved to be beneficial in the year, when the devastating rains for a few days before the auction could lead to its appeal. Under the roof of the new hall fell significantly to sales result, nearly 1.6 million. The hero of the auction was a buyer from Australia, who visited Janow the first time and did not give a chance regulars, buying 17 horses, including the most expensive: stallion ESPADERO (210 .000E) And mares HULA (160.000E) - PILICA ( 65.000E) And GEHENNA (180.000E). Face it tried to Americans, buying adored PEPESZA for 135.000E and promising EL Mina for 55 .000E and the Belgians, who with the desire to have FRASKATA, mares recognized as the best in the moving Aug. Polish studs, paid 135.000 Euros. Pride of Poland in 2007 had a historical dimension: the anniversary of 190 years of Stud in Janow Podlaski was proudly celebrated the best result of years of sales and marketing of over 2.5 million. After several years of break the game returned Mrs. Shirley Watts, acquiring only one mare - Janow PIETA, but it is the highest price Auction: 300.000 Euro. The second price auction - 205.000E. ZULEJKA Michałow paid for purchasing from Belgium. 5 mares have achieved rates of over 100.000E. Euro: ERRARA (165.000E. ), ALTONA (180 .000E), SIKLAWA (100.000E. ), FAUSTYNA (150 .000E), LAVERNA (140.000E.). 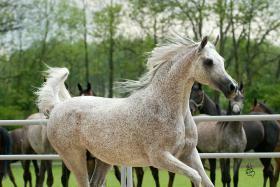 Overall - the horses on the main list were sold for an average of over 74.000. Euro, and the buyers were not issued just two of the 33 mares. Purchased this year buyers will enjoy the horses on five continents, in such exotic places as Dubai, Qatar, South Africa, Tenerife and Australia. Warmed high score and disappointment of losing a great opportunity for bidders turned not so titled, and the equally wonderful mares as ANDROMEDA (270,000E.) AMRA (340,000E), Ellissara (240,000E.) EGEA (160,000E) EKINAA (100,000E). 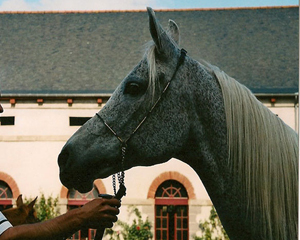 A total of 45 horses were sold for a total amount of Euro 3,175,000. Meeting took place Silent auction Selection Sale. In a slightly revised, refreshed formula, tender proved to be much more effective form of sales, than a little outdated and waking Silent Sale controversy. 4. 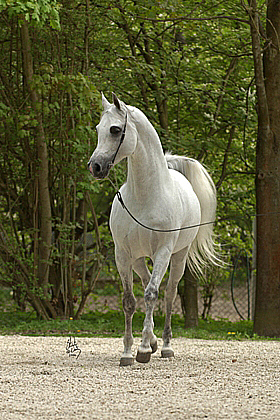 Ellissara 2000 gris Laheeb (IL) - Ekscella po Monogramm (US) Michałów 240 000 Arabie Saud. 5. Egea 2000 gris Laheeb (IL) - Egna po Eukaliptus Michałów 160 000 Arabie Saud. 8. 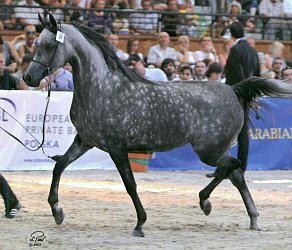 Bellissima 2002 gris Ekstern - Bellona po Czako S. Redestowicz 80 000 Arabie Saud. 10. 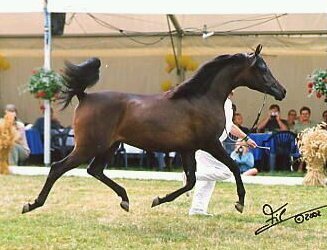 Emegna 2004 Alezan Magnum Psyche (US) - Embola po Balon S. Redestowicz 60 000 Arabie Saud. 18. Husara 2002 gris Pesal - Hula po Penthagonn (DE) Białka 27 000 Arabie Saud. 21. Emeeria 2002 alezan Angor - Ernera po Monogramm (US) Michałów 21 000 Arabie Saud. 29. Diastema 2001 gris Eldon - Demona po Monogramm (US) Michałów ? ? 16. 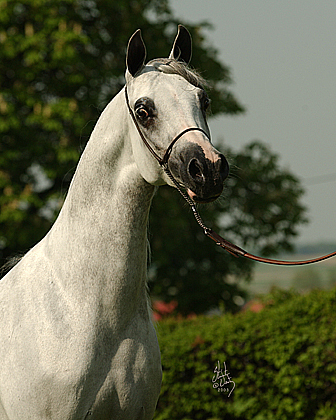 Poksa 2005 gris Ekstern - Pokusa po Eldon Białka 40 000 Arabie Saud. 20. 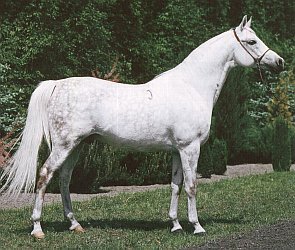 Wizga 2002 gris Ekstern - Wizula po Egon L. Jarmuż 20 000 Arabie Saud. 27. Batawia 2006 alezan Ekstern - Barka by Ararat ( Vendue en sept 2010) Michałów 10 000 ? It is interresting to note that during the last 4 years from 2006 to 2010.